Checking options for businesses big and small. At LNB, we understand just how nimble business owners have to be. So we’re nimble, too. We offer tailored and convenient checking solutions that fit the needs of your business. Click on any of the service offerings below to view more information. Analyzed Checking Want to conveniently manage deposits? 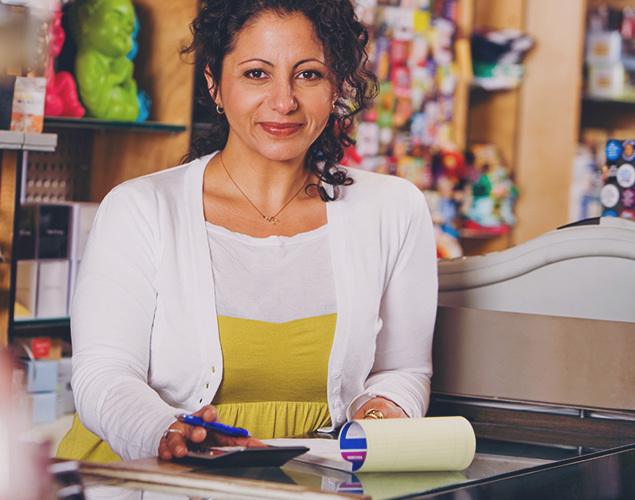 Here's a smart, convenient checking plan that makes it easy to manage your business's deposits. DBA Interest Checking Do you want to earn on interest? Free Business Checking Want to reduce costs? Non-Profit Checking Are you a non-profit? Simple Business Checking Prefer a traditional checking account? A smart, easy business checking option. “The amount of support that the LNB team offers our organization is unmatched. We would not succeed without their collaboration.” Marie S.